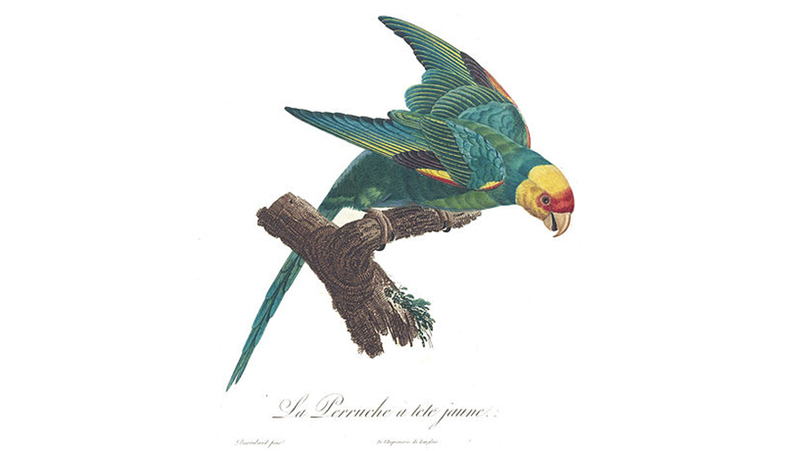 While 2018 marks the centenary of the death of the last captive Carolina parakeet – North America’s only native parrot, a team of researchers have shed new light on the previously known geographical range of the species, which was officially declared extinct in 1920. “Making these data freely available to other researchers will hopefully help unlock the mysteries surrounding the extinction and ecology of this iconic species. Parrots are the most at-risk group of birds and anything we can learn about past extinctions may be useful going forward,” says the study’s lead author, Kevin Burgio. Alongside the written accounts, the researchers included location data from museum specimens. These include 25 bird skins from the Natural History Museum’s Tring site, whose skin collection is the second largest of its kind in the world, with almost 750,000 specimens representing about 95 per cent of the world’s bird species. Thereby, the study proves what invaluable resources museum collections can be. “The unique combination of historical research and museum specimens is the only way we can learn about the range of this now-extinct species. Museums are archives of the natural world and research collections like that of the Natural History Museum are incredibly important in helping to increase our understanding of biodiversity conservation and extinction,” says Alex Bond.